Creating your dream garden can be expensive and a little time consuming, but it can also be one of the best things you do. If you want somewhere you can sit in the sun with your loved ones and enjoy some quality time, or simply somewhere you can sit and read a book to have a peaceful 5 minutes, you should work towards creating your dream garden. 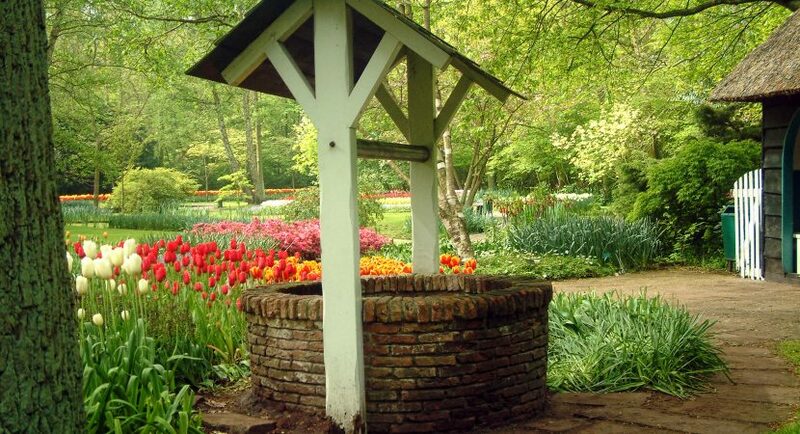 This guide contains information you can use to create your dream garden. Enjoy! First of all, you need to consider levels. Many interesting and professional looking gardens contain levels. For example, you can place your plants and flowers on different levels and have things like decking to create interest. However, creating levels may not be something you feel comfortable doing alone. If this is the case, then call a professional. In your garden, you need to consider what kind of color scheme you’d like to have, just as you would your house. You could simply include your favorite plants, or you could decide for yourself what sort of colors to go for. Do you just want plenty of greenery and cream/neutral colored flowers? Maybe you want some bright colors too. Ensure that you research the plants that will help you to achieve your scheme and don’t forget to make sure your garden smells amazing with herbs and other plants! Everybody wants some privacy in their garden, but the level of privacy you go for is all down to you. There are different things you can do if you want total privacy, or you simply want to use a nice looking fence from a place like http://www.redfoxfence.com. Don’t forget that tall plants and trees can help to contribute to a more private garden area too. Make sure that you ask yourself the important questions when coming up with a plan for your dream garden. Who will use your garden? – are you using your garden as somewhere to explore your love of gardening, or are you going to be spending a lot of time with friends in your garden? What will you do in your garden? – will you be relaxing, playing with your kids, throwing toys for your pets? This will affect how you design your garden. What is your budget? – knowing your budget is absolutely crucial before you start. Make sure you plan for unexpected changes and issues, too. What is your timeframe? – is there a specific time you’d like your garden finished for? This is why you should have a plan in place. Discuss with a professional gardener or landscaper. What is your climate like? – your climate will affect the kind of plants and flowers you include, not to mention whether you bother investing in outdoor furniture at all. A conservatory can help you to enjoy the garden in cooler months. How much time do you have to maintain your garden? – don’t forget that you’ll need to maintain your garden once it’s complete!